So the 2019 Cheltenham Festival is consigned to the history books. It will long live in the memory though, as the ‘Ladies Cheltenham’ a year when women jockeys claimed many of the headlines. 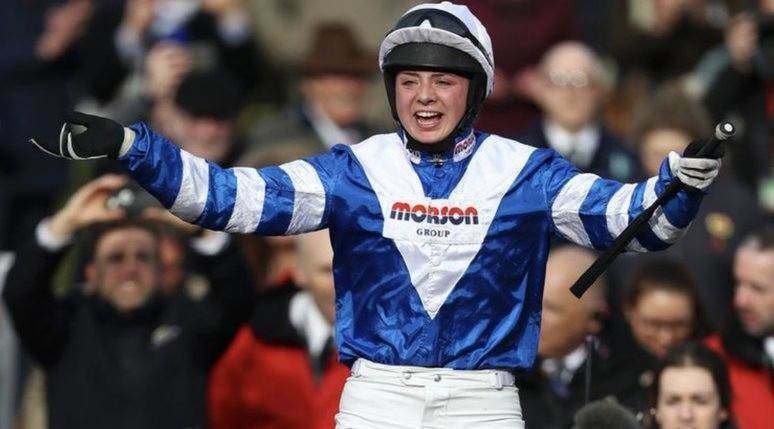 Rachel Blackmore captured two races, Lizzie Kelly landed another and Bryony Frost became the first female jockey to win a Grade 1 race at the Festival when Frodon took the Ryanair Chase. For good measure Emma Lavelle trained the winner of the Stayers Hurdle, Paisley Park. Ultimately it was honours even in the 888Sport sponsored Prestbury Cup, 14 winners apiece for the UK and Ireland when the Joseph O’Brien trained Early Doors landed the concluding race, the Martin Pipe Conditional Jockeys Hurdle. And those history books will show, once again, Willie Mullins was top-trainer courtesy of four winners. It was Nico de Boinville, jockey to Mullins’ rival Nicky Henderson, that was crowned leading jockey. He enjoyed three winners and a runner-up during the course of the four-day Festival. The punters will be fully aware the final day of the Festival was something of a blood bath when the average SP of a winner was 24/1. The biggest priced winner of the meeting, Croco Bay in the Grand Annual, was 66/1 and Altior (now 18 races unbeaten), at 4/11, was the shortest priced victor. When all the stats were throw into the blender it shows the average SP of a Festival winner was a little over 12/1 which would have been shorter if Benie Des Dieux not fallen in the final flight of the Mares Hurdle when in command. Another short priced loser was 11/10 poke Sir Erec. But a respectable nine favourites did win, that’s 32%. Finally Cheltenham’s on-course attendance was a record setting 266,780 with 71,816 racegoers going through the turnstiles on Gold Cup day. It too was a Festival record. Will the Grand National Bring More Joy for Girls? The Grand National meeting will attract around 150,000 racegoers for its three day meeting but the big race is watched by 600 million television viewers world-wide. What we need to know …is 2019 going to be the first year a woman jockey lands the great race? It is 31 years since the first female jockey took part and in 2012 the now retired Katie Walsh achieved the best result for a National runner partnered by a woman when finishing third on Seabass. Seven year later bookies are sure to devise many Grand National betting offers for you lovers of lady riders and given Rachael Blackmore and Bryony Frost both had good rides in last year’s race and are likely to do so again in 2019 be sure to consider any Grand National 2019 betting markets involving them, including the straightforward ‘a lady jockey to win the race’. Rachael Blackmore will not get the ride on hot 5/1 Grand National betting favourite Tiger Roll – who was the only Cheltenham winner for the normally dominant Gigginstown House Stud at Cheltenham – but she is still likely to get the mount on one of their fancied horses. The colossal Irish outfit have no less than 13 of the original 100 entries in the race and they use her services. Lizzie Kelly might well be on her stepfathers Tea For Two who has been placed in a King George Chase while Bryony Frost will probably attempt to replicate her father’s Grand National win (Jimmy Frost won the great race in 1989 aboard Little Polvier) aboard Give Me A Copper or Black Corton who she scored on six times from seven starts in 2017.